Jo Tracey is a Sydney based Astrologer, Blogger and Change/Project Manager — in no particular order. Although overloaded with 1st house Pisces planets, Jo’s 8th house Mars in Scorpio is tempted by the occasional excursion into the “dark side” of the zodiac. Jo can be contacted at jo@jotracey.com.au. I remember back in High School (and later), when I first had an interest in astrology, turning straight to the appropriate section in Dolly/ Cleo/ Cosmo to find out whether my latest crush was compatible with my Pisces self. If only it were that easy! Back in those days I didn’t know that there was more to me than just being a Pisces. 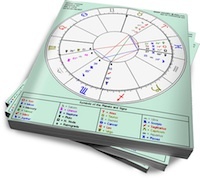 But then again, that is the case with most … [Read more...] about Synastry Basics: Who Is Really “Right” For You?